Breakfast is served in the oak panelled dining room, with a roaring fire in the Inglenook fireplace in the winter, and in the summer the sun streams in. 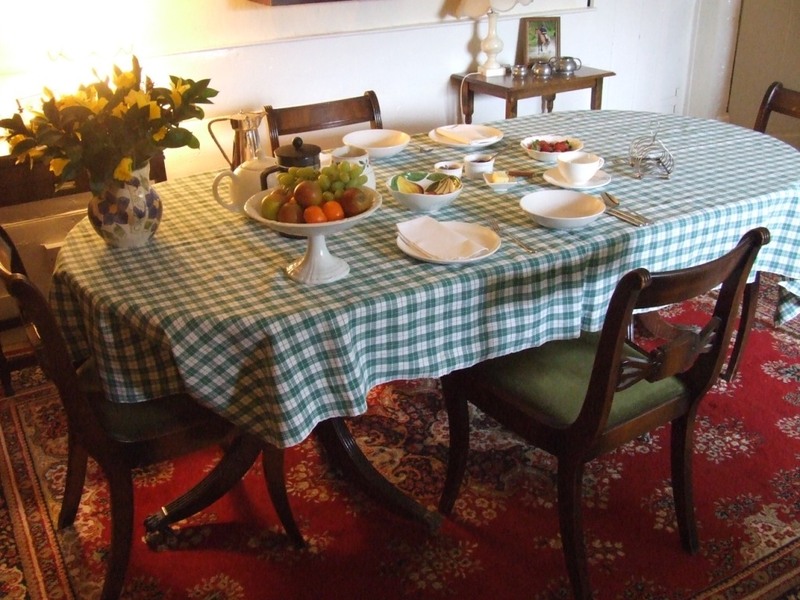 Enjoy either a full English or Continental breakfast with fresh fruit and yoghurt, homemade preserves and free range eggs. We also serve apple juice made with the apples from our orchard. 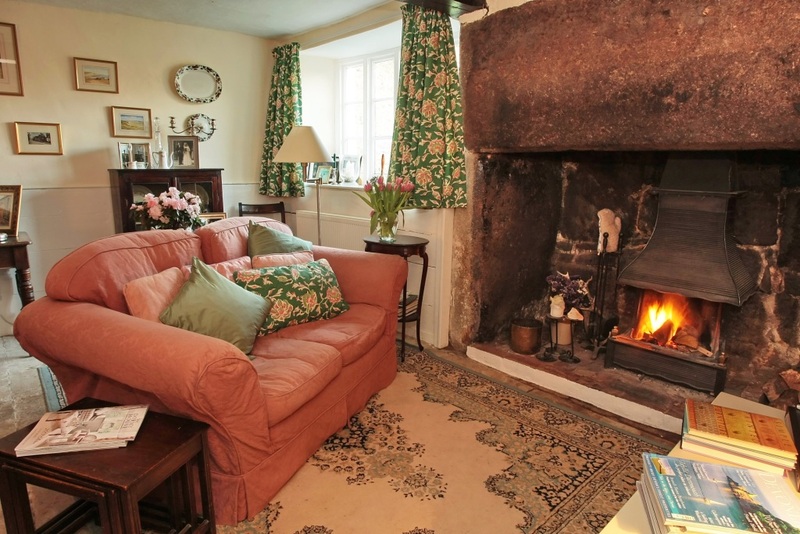 Guests can make tea and coffee in their room, or may prefer to sit cosily by the fire or in the garden depending on the time of year. There are always homemade biscuits to have with your tea.